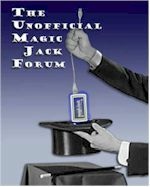 Well as I am a newcomer to this wonderful forum, and intro'd myself already, felt so at home here, that I have decided to share some of my take on the MJ/Vocaltec/Ymax phenomena . For what it is worth, it is my personal opinion only, so feel free to dig in at me. So many people in here and other places complain about MJ and particularly their support, and I must admit service is not their strong suit, but for the tiny price of $20 a year or $30 for the Plus, users have little to complain about. It's a good deal no matter which way you look at it. Stop your whining or go back to paying for landlines, then you will have something to whine about. Now I am not so naive to think that MJ has no competitors, but who has emerged with this formula and managed to saturate the market so successfully? No-one so far. I have had owned 2 small VoIP (ITSP) companies since 1998, and did well until MJ ripped into our profits. It forced us to change business models twice. MJ have have changed the entire landscape of VoIP and there is no arguing that. They have also cheapened what was for us a good business with a ridiculously low cost price that has completely changed end user's perception of telephone companies and tariffs forever. They did not have to go so low. The market would bear higher prices. Now I see they are attempting to life that to $30/year for the MJ+ but the users have already been spoiled rotten, and that extra 10 bucks may be harder to reach than Dan thought. I see it is very hidden, but I am sure his remaining competition will be quick to point out the 33% price hike, that's not mentioned in their blurb. A word of warning, don;t let MJ have access to your credit card. Use a third party payment gateway., or you may find some nasty surprises in your card statements. It's true MJ seems to have blocked some area codes where the CLECs are desperately trying to hang on by charging exorbitant access fees, to try and stave off the inevitable flood of cheap VoIP. All the CLECS are left with is DID's and their backbone, that was until Dan came along and set up his own VoIP infrastructure and a seemingly unlimited offering of DIDs in previously unobtainable areas. So, if you can't beat them join them I always say. I think it is still a very good deal. If you don't need tech support it's even better for the end user. I can;t imagine why anyone would wait upwards of an hour to get a support person who knows less that the customer. Now the thing that always turned many people off MJ was the USB being plugged into a computer all the time, and of course Dan has had night mares over this. So Dan got Dr. Tigerjet to build him a MJ+ -- not a great piece of engineering by any stretch, but it gives him some market options he never had before. Now he can cream the Ethernet ATA market. So many people have asked me, how does MJ make money? Well all that packaging and handling and unit sales, and countless upsells on the web ordering process, someone must pay for a vanity number or some extra years. Look closely at your International mobile rates; Also a top heavy sales effort and not much spent on training the support staff. Where they go from here is anyone's guess,. They will need to life their support side or home users will just put the unit away because it's too hard to fix. I'm coming along for the ride, using my company's low-cost International routing, and US and Canada for the MJ at $29.95/year. Thanks for such a valuable resource as this forum. I am sure it puts MJ online chat support to shame. Maybe you should offer to replace them, at least you have a knowledge base. Thanks for the opportunity of being able to share some of my experiences in this fascinating and ever changing field.